You probably think you know all there is to know about saturated fats… those so-called “bad” fats that everybody blames for high cholesterol and heart disease, and certainly shouldn’t be included in your diet if you want to lose flab, or even maintain your shape. But what if what you’ve been told is not accurate… and saturated fats could actually have a healthy place in your diet? Well, you can stop imagining now because this isn’t a dream; it’s reality, and you can get all of these benefits and more just by adding coconut oil to your eating plan. 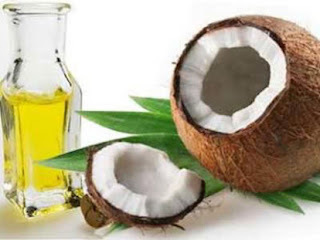 Many types of oils, such as vegetable oils and lard are rich in long-chain fatty acids (LCFAs), but coconut oil is unique because it’s rich in medium-chain fatty acids (MCFAs). “… aid in the prevention of obesity or potentially stimulate weight loss." Let’s say you’re following a healthy diet and exercising but are looking for an extra fat-loss boost. This was the scenario in one study, in which 40 obese women started eating right and walking, then were given either soybean oil or coconut oil (about 2 tablespoons a day) for 12 weeks. That one varying factor made a huge difference, with the coconut oil group benefiting from a reduction in abdominal obesity and waist size that the soybean oil group did not get. The coconut oil group had other benefits as well, like higher levels of HDL (good) cholesterol (which actually decreased in the soybean oil group). Guys, this applies to you, too, as separate research has shown that when 20 obese men added coconut oil to their eating programs (this time for only four weeks), their waists shrunk by nearly 3 cm on average (not to shabby for doing nothing other than eating a delicious tropical oil… ). Animal studies have even shown that overfeeding rats a diet that contained 45% of the fat as MCFAs (the kind in coconut oil) gained less weight and had smaller fat deposits than rats fed LCFAs (the kind in vegetable oils). So this is one oil you do not need to feel guilty about adding to your meals. They also eat a lot of coconuts, and there is reason to believe that the coconut milk, meat and oil, which makes up anywhere from 34% to 63% of their total caloric intake, is providing a protective effect for their hearts or at the very least was certainly not harming them the way saturated fats “should” (if you listen to conventional nutritional dogma). 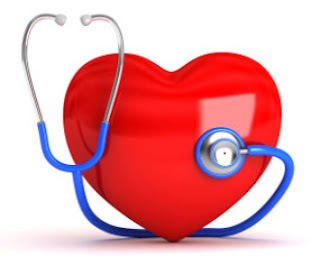 Despite being a “saturated fat,” coconut oil has been found to lower total cholesterol, triglycerides, phospholipids and LDL (bad) cholesterol – all of which could be beneficial for your heart health. One other tidbit you can use to impress your friends: coconut oil contains lauric acid, which your body converts into monolaurin; it’s a fantastic virus-, fungal- and bacteria-fighting substance. The only other natural source is in breast milk, which helps babies fight off infections. If you eat coconut oil, you get these awesome infection-fighting benefits, too. You need to watch out for the cheap refined coconut oils sold at many supermarkets, as many of these use a chemical distillation process, may contain unsavory coconut additives (like bleached, dried coconut flakes) or may even contain hydrogenated oils! The best coconut oil will be in its raw, unrefined form, and will state “virgin coconut oil” on the label. These oils are generally made from the first pressing of fresh coconut, without any chemicals for extraction or other additives. Only unrefined, virgin/extra virgin coconut oils will have the fresh coconut taste (refined oils get the flavor taken out) and should be made from fresh (not dried) coconuts. Ideally, look for an organic oil as well that will have been grown free of chemicals like fertilizers and pesticides. Coconut oil is an excellent oil for cooking, being exceptionally heat-stable and not prone to damage from even high-heat cooking (unlike olive oil or vegetable oil). But if you’re looking to consume enough coconut oil to get the maximum benefits, the consensus is anywhere from 2 to 3.5 tablespoons, daily. If you’ve never had coconut oil before, start with a small amount and work your way up to this gradually. Coconut oil goes great for stir fries, added to oatmeal or other hot foods, or for any other cooking uses.